Comparing the Chicago vacant building dataset with HUD/USPS data shows substantial differences in the number of units reported, although those may be largely the result of the differences in the reporting criteria for the two datasets. Despite the differences in reporting criteria, both datasets reflect the effects of decades of disinvestment and population loss that have been concentrated in lower-income neighborhoods and communities of color within the city, the disproportionate impact of the foreclosure crisis in those same neighborhoods, and the failure of those neighborhoods to benefit from the recovery of the real estate market in other areas of the region. Analysis of the source data shows that the vacant building registry provides 25.1 percent of all entries for the vacant building website, with the distribution of units being similar to the overall distribution of units reported on the website with respect to the income and racial composition of the census tracts. Both the website overall and the vacant building registry have a relatively higher percentage of units reported from low- and moderate-income and census tracts that are 80 percent or more non-white. 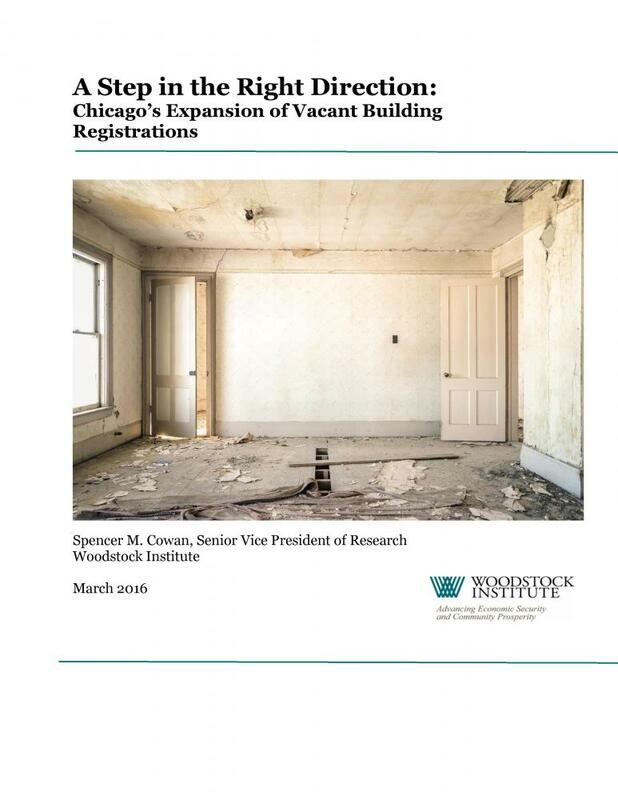 Requiring mortgagees to register vacant buildings has had a positive impact in informing the city and the public about vacant buildings and is a positive step in dealing with the problems that vacant and abandoned buildings can create for neighborhoods. The city needs to continue its efforts to determine where vacant buildings are in order to determine the magnitude of the problem and develop better ways to deal with the negative impacts they create.